A friend sent us this noteworthy article in a February 2010 issue of the Pacific Citizen. "Japanese American residents in San Joaquin County, Calif. had no idea that they were under state investigation during World War II until recently when two boxes were discovered containing government documents tracking their activities in an attempt to find them in violation of the Alien Land Laws." Good for the clerk of the county board, that she gave the incriminating documents to the right parties for preservation. 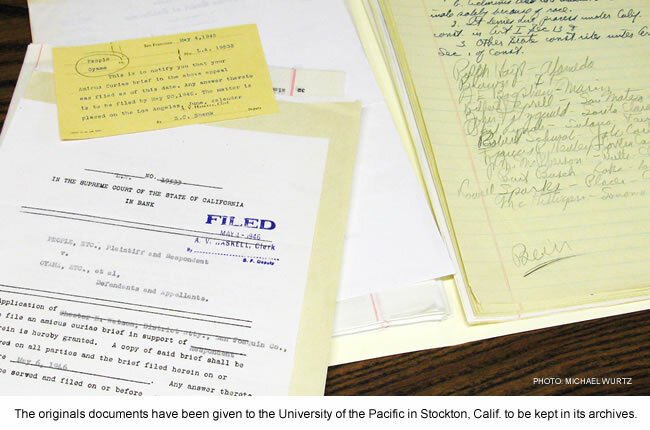 The papers are now archived at the University of the Pacific in Stockton (Densho loves a good archive). I can't help but marvel over how our Issei ancestors succeeded despite persistent and insidious discrimination by the government. Brave souls, that generation.